The term ‘orbital welding’ is an important subject matter when discussing welding or manufacturing. A staple of the modern welding skill set, it’s vital for those in the industry to understand and maintain awareness of, and learning this specialty can help you get ahead in your welding career. Orbital welding, simply explained, is a way to join two objects together by moving the head around the stationary objects, often using only the melted edges of the two objects to create the bond. There are a number of variations on this basic concept, and a number of important things to learn before a welder is ready to put the concept into practice. While there are a number of subtle variations on the basic idea of orbital welding, jobs can generally be divided into two distinct categories: Orbital welding with a non-consumable electrode, and orbital welding with a consumable electrode. In the latter, welds are performed with a standard welding rod utilizing a wire feeder to supply metal to the welding arc and create the bond. In the former, more common form of orbital welding, the welder utilizes a system dependent on tungsten inert gas and an encased electrode, which melts the edges of the objects without itself becoming part of the weld. Orbital welding applies well in a number of situations. Here are just a few examples; primarily, orbital welding sees use where tubes and pipes need to be 100% reliable and as smooth as possible. Food, Dairy, and Beverage. Other methods of welding have difficulty achieving the smooth, full penetration welds that are necessary to meet regulatory standards of safety and sanitation. Semiconductors. Smooth internal surfaces are necessary to avoid contaminant buildups that might release at inopportune times, ruining the batch process. Aerospace. Orbital welding creates welds that can withstand the pressure variations and reliability standards required for planes in flight. Putting aside situations where circumstances dictate the use of orbital welding for lack of other options, orbital welding also serves as a powerful tool for it’s reliability and resistance to human error–beyond the initial setup, there’s less room for the welder to create unexpected problems. For this reason, orbital welding is considered a reliable source of consistent quality welds. 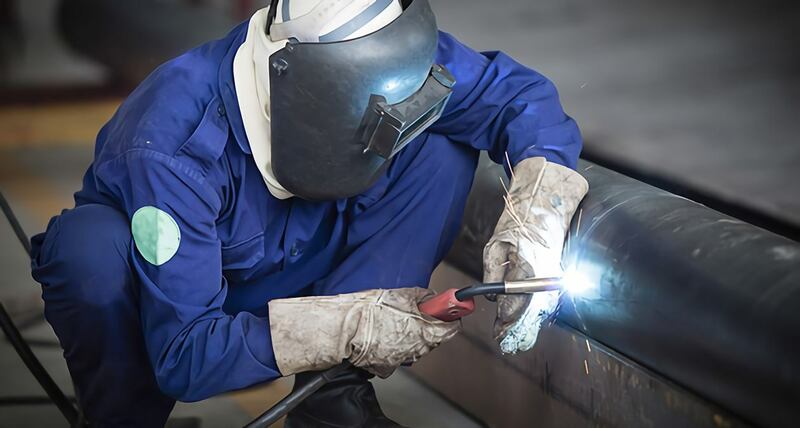 In the case of other forms of welding, such as GMAW, flaws may be more frequent, preventing your from achieving the consistency of output required to meet the highest safety standards. There are limitations to every type of welding, orbital included. To weld a variety of objects requires a variety or orbital welding heads, each sized to fit different objects. Some objects are simply impossible to weld using an orbital welder, no matter how many heads one has at hand. For this reason, orbital welding is best used as part of an arsenal, not as the single tool in a welder’s belt. It’s common for individuals looking to begin their education in welding to consider orbital welding as a good starting point. It seems relatively simple, due to the higher number of automated processes and the inherent resistance of the process to welding flaws. However, a proper welding training program includes education in all of the basics of welding. Always be careful not to cut corners on power, shielding, purge gases, and other areas of training that seem less immediately important–if something does go wrong, an undereducated welder can quickly exacerbate any problems they’ve encountered.